Traveled from Willcox to Payson, AZ today. The day started off a little cooler at 52 degrees and it actually felt quite nice after all the heat. It soon warmed up the mid 70’s and the temperature was perfect. The first place we stopped at was Dankworth Pond State Park which is just 12 miles from Safford on hwy 191. It was a lovely pond that you could walk around so we go out and stretched our legs. Besides the regular coots, there were common mergansers some ruddy ducks and a great egret. On a side note, it’s interesting how they keep up the state parks. They do it with volunteers. The volunteers work in the office and gift shops and also do maintenance. Usually a husband and wife team. And for doing this, the volunteers get a place to park their RV or trailer rent-free with all the amenities. The ones that we met did 6 months at a time and went all across the US. Great system. As we walked around the pond there were lots of animal footprints in the dust and a roadrunner scooted across the path in from of us. 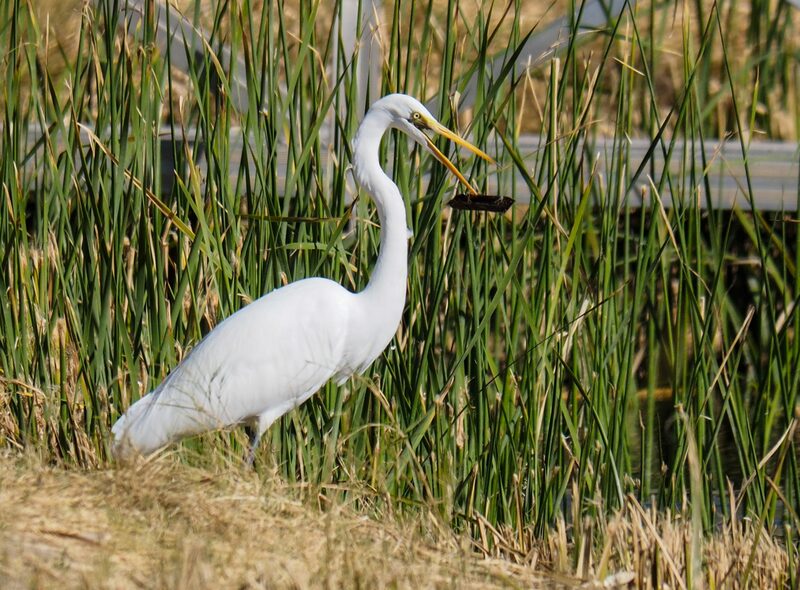 The egret was fishing and shot its head down and came up with… I don’t know, but he spits it out really quickly and flew off. Looks like a piece of wood. Heading down the road about 3 more miles there was another state park called Roper Lake State Park. It is a good size lake with a campground and picnic areas. We walked down to the water and sat watching the birds and enjoying the sun. 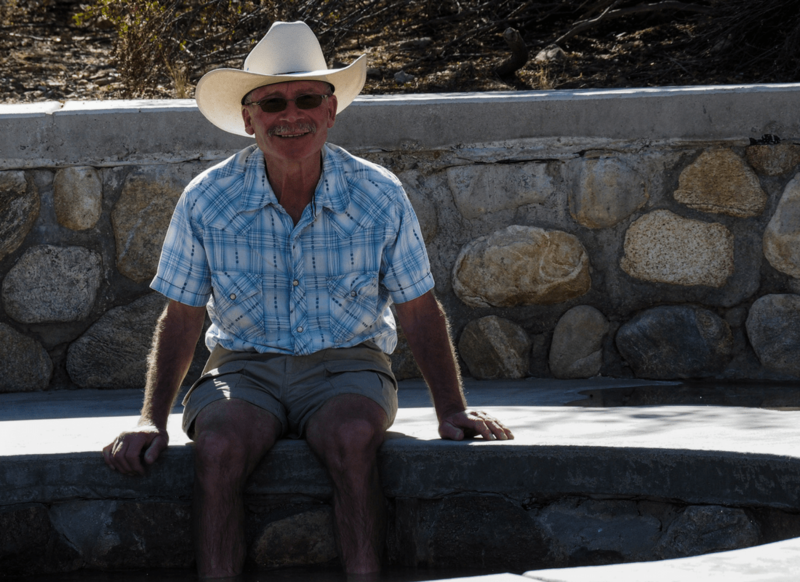 One of the nicest parts of the park was a natural hot spring that they have made a pool for. We dangled our feet in the warm water and it was great to take off our shoes and soak. On the road again we saw a sign for the Coolidge Dam. But it was a gravel road and it said the dam was 27 miles away so decided to just go up a little way and turn around. We went by a garbage transfer station that looked like it had been closed for a while and everyone had just dumped their garbage in front of it, beside it and everywhere in between. It was such a mess in the middle of nowhere. It was shortly after this that we turned around and as we went by the garbage again there was a dog who looked like it was feeding puppies. It gave us a mournful look as we went by and I said to Rob let’s go back and feed it the leftovers from dinner that we had in the cooler. It was a happy dog and we were soon joined by another. This one had definitely been beaten and mistreated as it cowered away from us even though it was hungry. Rob made sure it got something to eat and water for both of them before we left. I don’t know if they were living at the dump or where they came from, but we didn’t see any habitation for at least 10 miles. Further along, we found another road that went to the Coolidge Dam that was paved and only 13 miles so we headed down. 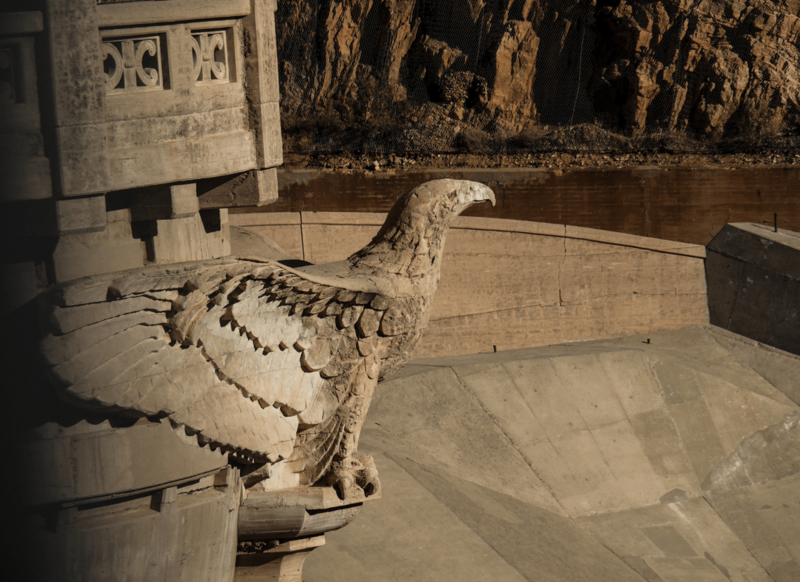 The dam is a work of art that was completed in the 1020’s. My pictures don’t do it justice but here is a link to some pictures on Google. Most dams today are more high tech or very clean lines. This was built like a sculpture. Well worth the side trip. Further down the road we were going to stay at Globe for the night but decided to press on through to Payson. 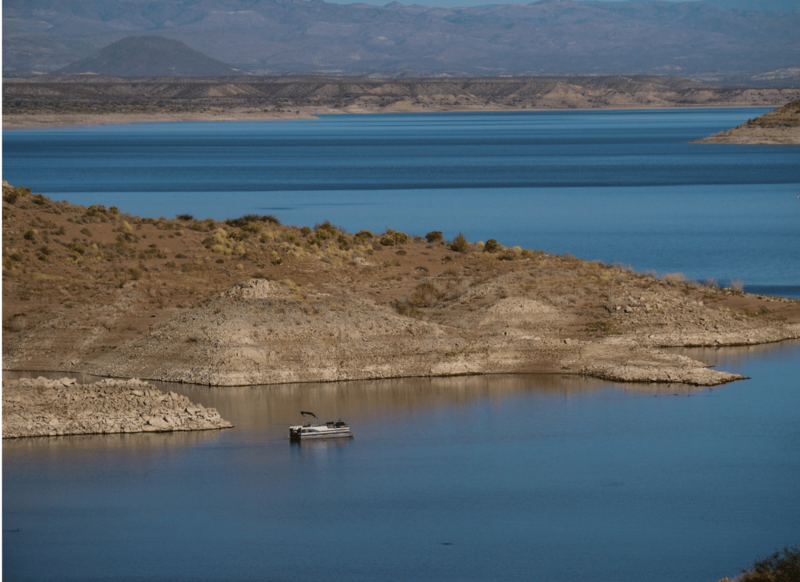 The Roosevelt Dam is between Globe and Payson, and the town itself is full of storage place. In particular storage places for RVs and boat so the units are quite high. I guess a lot of people come down for a few months and then store their toys for the rest. Business looks like its booming. There are numerous campgrounds and picnic areas around the dam and lake but most of them were empty. Arrived in Payson around 6 pm and got a nice room for the night. Swam and hot tubbed and are doing some more relaxing.